Embrace the power of crochet to bring color and whimsy to every room in your home. 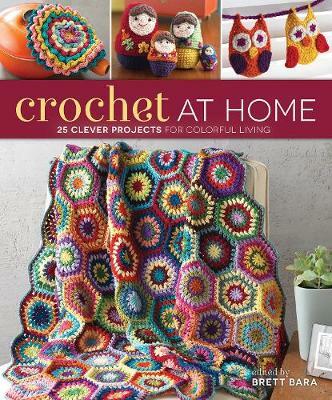 In Crochet at Home, editor Brett Bara and her team of crochet experts have created 25 exciting projects to make every day modern. Explore a collection of practical, pretty pieces for your kitchen, living room, and bedroom: from a riotously colorful blanket, to a delicate bunting of crocheted snowflakes, to flower-inspired trivets that are anything but dull - and even a full-sized ottoman! Techniques such as felting, lace, and crocheting with wire will appeal to beginner and advanced crocheters alike.